Betty White Confirms SNL Hosting Date; Internet Rejoices! 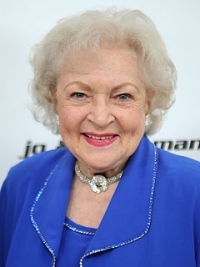 Somehow, Betty White is having a better career at age 88 than most women a quarter of her age could ever have. She’s been in a big-time movie with Ryan Reynolds and Best Actress Oscar winner Sandra Bullock, she’s been in the biggest commercial of the year at the Super Bowl, and now, she’s going to be guest-hosting Saturday Night Live. The iconic comic actress confirmed she’ll be going on SNL over the weekend at Elton John’s Oscar party. Of course, there’s still the question of how someone at age 88 could do an entire hour and a half of live TV in the middle of the night. Entertainment Weekly maintains Betty will split hosting duties with Molly Shannon, Tina Fey, and Amy Poehler in a Women of Comedy special. Lorne Michaels continues to deny that. However, one thing is certain, Betty White is still one of the funniest women in comedy, even if she remains mystified by her sudden surge in popularity. When asked by People Magazine about her SNL appearance, she confirmed it and added this about her comeback: “I don’t know why or how,” she says, “but it’s been wonderful.” For you and for us, Betty. You’re like America’s funny grandmother!